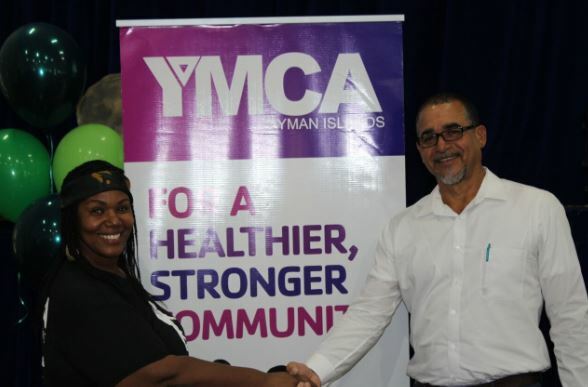 The graduation ceremony included awardees from Hazard Management Cayman Islands, Department of Labour and Pensions and the Royal Cayman Islands Police Service. Fourteen civil servants gained ILM First Line Management Leadership certificates and six were awarded Level 3 certificates in Leadership and Management. Deputy Governor, Hon. Franz Manderson presented the awards and congratulated the recipients on Monday, 7 January 2019. Mr. Manderson advised that investing in human capital was one of the single most important components of effective management and customer service. The Manager of Leadership Learning at the CSC, Lance Barnes, said that the recipients were the largest ILM cohort in recent years. Underscoring the leader of the Civil Service’s comments, Mr. Barnes reiterated how the ILM programme aligns with the Civil Service 5-Year Strategic Plan, launched last year. “In developing a world class civil service, one of the priority goals within the strategic plan is to develop exceptional leadership,” he confirmed. “ILM certification is ideal for individuals who have management responsibilities but may not have any formal training and are serious about developing their management and leadership abilities. The L3 course content forms part of the associates degree programme within the Civil Service College however; on completion of the degree, students receive the ILM First Line Management Certificate. Individuals are awarded the ILM Certificate in Leadership and Management after attending face-to-face classes for at least six months, coupled with the submission of nine written assignments, which are graded internally by an ILM qualified personnel and externally by ILM,” concluded Mr. Barnes. CIGTV’s News Director Donna Bush received a Level 3 ILM certificate following nine weeks of class work and an online exam. • Tailored with flexible and practical on-the-job assessment.